One layer is already opaque enough but for a better durability I always apply two layers. Silver is a very special nail color and not for everyone. As for me I love unusual colors and wore it already a few times. The durability of Intemporel is is really good and chips never seem to appear with only two coats. Sometimes it might occur that you’ll get streaks, avoid too much varnish on the brush since that can help. 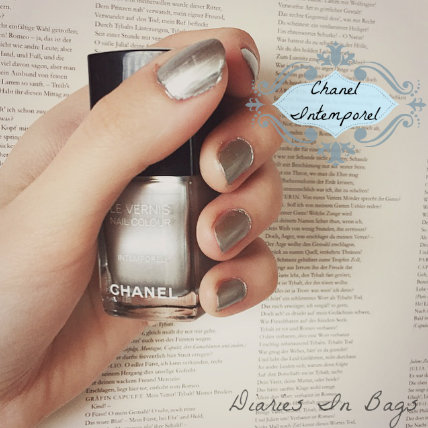 What meets the eye immediately is that Intemporel has no number like most of Chanel’s nail polishes do. One bottle costs about 23,99 € but you rather find it 2nd hand on different sites since it was strictly limited.